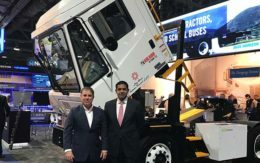 Kenworth Truck Co. delivered the first near-zero emission 12-liter natural gas truck to a commercial fleet at the ACT Expo green transport conference in Long Beach, Calif., Tuesday. 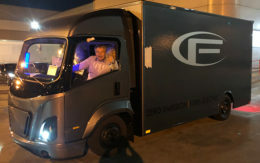 The truck, equipped with the new Cummins Westport ISX12N engine, will be used by AJR Trucking, a port drayage and mail delivery trucking fleet operator in Southern California. The California Air Resources Board has certified the engine to meet its toughest nitrogen oxide, or NOx, standards. 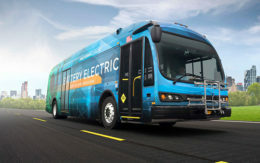 The board has certified that the engine is 90 percent cleaner than the federal Environmental Protection Agency standard. 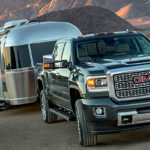 “This new truck, which is the cleanest heavy-duty truck commercially available on the market today, is the first of many that will hit the road this year,” said Todd Campbell, chairman of the California Natural Gas Vehicle Partnership, an alliance of private and public entities. California is home to seven of the nation’s 10 most polluted cities, making the role of green trucks crucial to improving air quality throughout the state, Campbell said. Bringing to market a 400-horsepower engine for vocational and regional use “is a game changer” for the industry, said Kurt Swihart, Kenworth marketing director. Kenworth is a division of Paccar Inc., which also owns the Peterbilt brand. The transportation sector is responsible for about 40 percent of California’s greenhouse gas emissions and more than 80 percent of the state’s NOx, or smog-forming, emissions. The truck was purchased with funds from an incentive pool managed by the South Coast Air Quality Management District. It provides up to $100,000 toward the purchase of a new clean-burning natural gas truck. “AJR Trucking is a prime example of a fleet who leveraged available incentives to clean up the environmental impact of its operations,” said Dwight Robinson, a governing board member of the SCAQMD.